Posted by Ada Wang on 11/16/2018 4:22:04 PM. Many Kindle users are searching for solutions to read epub on Kindle Paperwhite, because this e-ink reader doesn't support EPUB. But fortunately I've found some good solutions. I'm going to show you 2 methods to read epub books on kindle paperwhite. Convert EPUB to Kindle supported format. --Amazon only supports users reading books purchased from their Kindle store (their own kindle format such as kfx, mobi, azw3, azw, etc). We are not allowed to read files bought from another stores with kindle. --Most of our purchased epub books, such as Google ebooks, Kobo, Sony, are protected with DRM limitation, which prevents us reading epub files on non-supported readers, such as Kindle paperwhite. Having found the reasons, the solutions will be easy to find. Since there are limitations between the device and the ebook format, why not change the device's property or the book file's format? To read ePub on Kindle Paperwhite, the best and simplest way is file conversion. 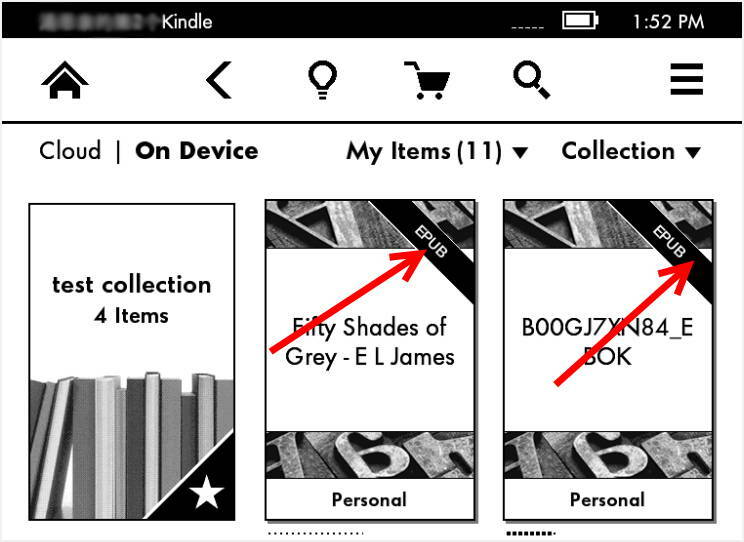 We know that Kindle reads kindle format, so how about converting epub to kindle readable format? When converting books to kindle paperwhite, Kindle ebook converter is needed. I'm going to introduce you 3 tools, all are good to use. 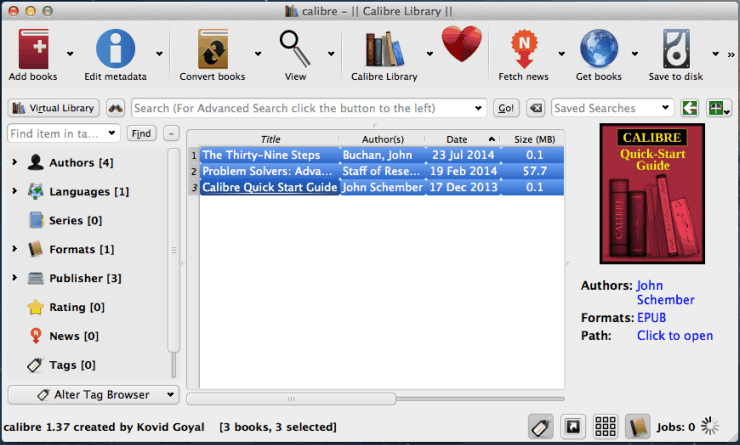 As an ebook fan you may have known Calibre. This is a free ebook management tool, which helps us convert ebooks from one format to another. 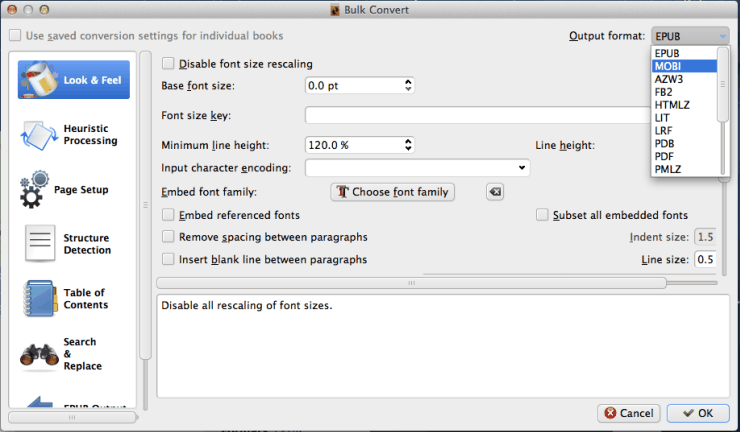 So you can use it to convert your epub files to kindle format. Download Calibre, and launch it. Then add your downloaded epub books, select them and click on "Convert books" icon. From the pop up window choose "Mobi" as your output format please. The best file format kindle will support is mobi. Then click OK.
Good Point: Convert any format to another; edit epub metadata; read epub on computer as a reader. Weak Point: Need to install plugin to convert drmed epub files. If you think third-party software installing is a little inconvenient, don't worry you can use online converter. Just convert your books with online site. 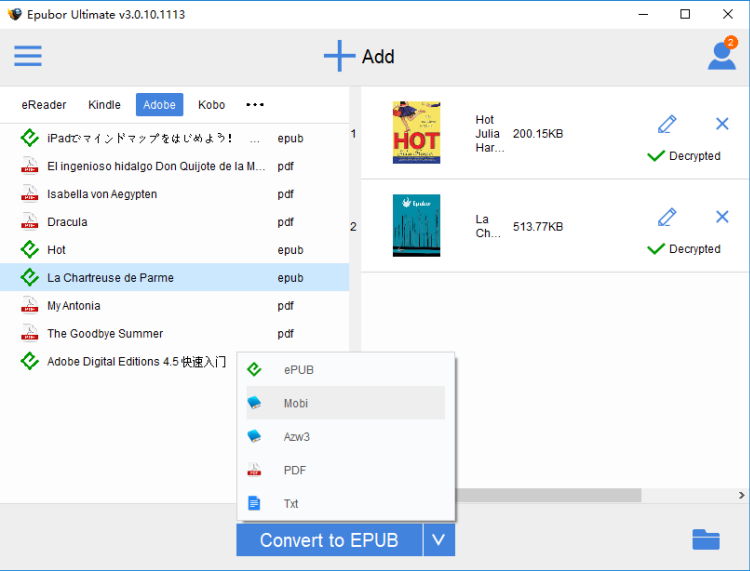 Epubor--Support multiple formats conversion, output epub, pdf and mobi. Zamzar--Famous for free online file conversion, and also write some words to introduce the file extension. CloudConvert--199 formats supported, and also introduce the extension file features. Also can help you send file into dropbox. Good Point: No need to install on computer; convert files very fast. Weak Point: Can't convert drm epub to mobi; only convert files one by one, no batch conversion support; need to sign up or log in. These 2 converters above are with the same problem: can't convert drm epub files directly. But in fact most of our purchased epub books are with drm. So if you want to convert your epub books to kindle without any problems, this software Epubor Ultimate can help you solve all your problems at once. What's more, this tool can also support batch conversion, just with one click, job done. Firstly download and install the tool please. Then add epub books to this soft. Both drm free and drm protected epub books are supported to add. Then select kindle mobi or azw3 as output format, click on "Convert to ..." button. Price: $24.99 but provides us 30-days free trial. Good Point: Remove drm from epub and convert epub to mobi; 1-click to convert plenty of books; also can edit ebook metadata, change epub cover, etc. 1. For drm protected epub books, to get successfully drm stription, please make sure you can read epub on Adobe Digital Editions. Click this content how to remove drm from epub to learn more. 2. For some Kobo eBooks they are usually with KEPUB format but not the common ePub, this means you should convert Kepub to ePub first. After you converted your epub books to kindle format, transer files with a USB cable . Then you can enjoy your files. Method 2 in this part I recommended is more applicable for those person who don't want to use kindle's restricted services. If you were the person who prefer to Android rather than Kindle, select this solution please. After successful jailbreaking, you also need to install epub reader to help you open epub books (it means you don't have to convert epub to mobi format). KOReader--Originally created for usage on Kindle e-ink reader, started as Kindle PDF Viewer. But now it supports epub too. When you open an epub file, it will turn this format book to pdf layout. Please click KOReader user guide to know how to. FBKindle--FBReader makes you can read epub files with plenty of options. But it only supports DRM-free books. Follow user guide please. Above the two readers are strongly recommended. And don't worry after you jailbreak your kindle paperwhite and install this app, you can still enjoy your Amazon options. But in my opinion, converting epub to kindle (DRMed or non-DRM) is the best way. No hard technical issues, easy to use. Maybe you can get a free trial. Very helpful guide, thank you. Does it work all with the latest generation of Kindle Paperwhite? Yes it supports all generations of Kindle Paperwhite, and even the latest Kindle Voyage. Another great site for sending your EPUB to your Kindle is www.sendepubtokindle.com. I've been using for a year now and it's definitely the easiest option I've found. Good news is that, now epubor released a new product named Kindle Transfer,which helps transfer books between Kindle, Kobo and computer freely and easily. Can you tell me more details about your problem? Are you trying to jailbreak Kindle Paperwhite? Anyone know if the new Oasis can be jail broken? If the Kindle's firmware version is 5.6.5, then it can be jailbroken. After converting my epub files to mobi files with epubor for my Kindle Paperwhite, I cant use the dictionary function. I can use it with Kindle purchased books but not the convertef books. do you have any solutions? You can install DRM removal plugin to Calibre easily, and from there on all DRM is removed automatically and mobi conversion possible. I've just landed in this page. Luck me. Thanks for the intel. Very useful info. Hi I have converted books to MOBI on my PC, and then saved them in the library of my Kindle for PC App, but how do I actually get these books onto a kindle device? They don't appear in any other Kindle library, despite repeated attempts at syncing. Just copy the mobi files from the converted output path and drag them to your Kindle "documents" folder. Find them by touching your Kindle device "Documents", not "Books".